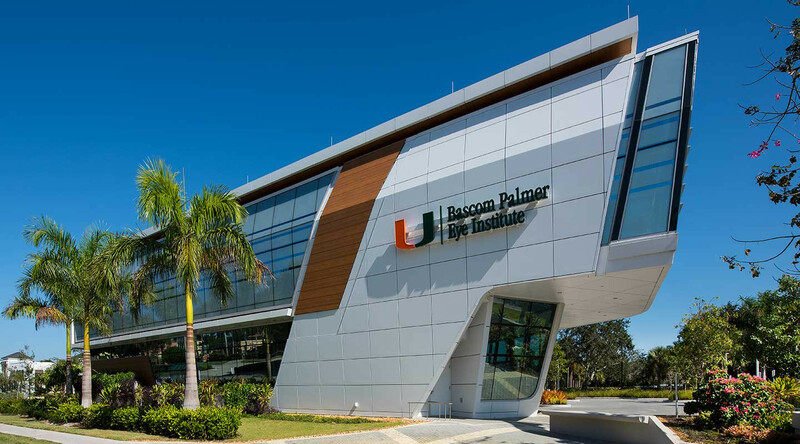 In 2013, Bascom Palmer purchased a 1.5-acre site on a busy corner in the heart of upscale Naples, FL to construct the 20,000 square-foot University of Miami (UM) Bascom Palmer Eye Institute. 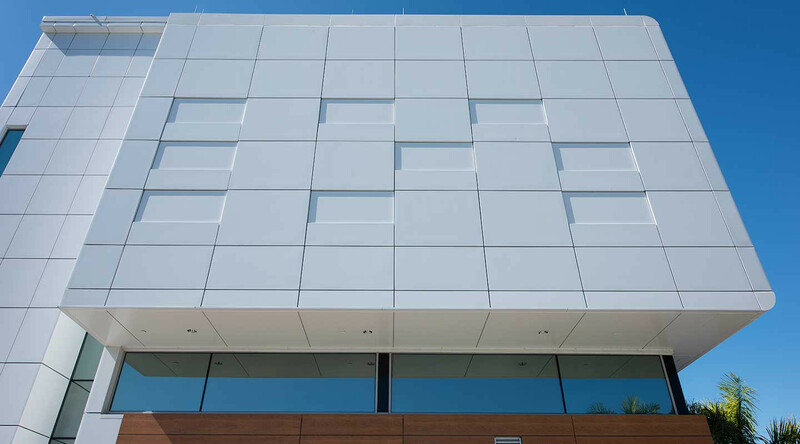 As an eye care facility, visual appeal was paramount to the very design. 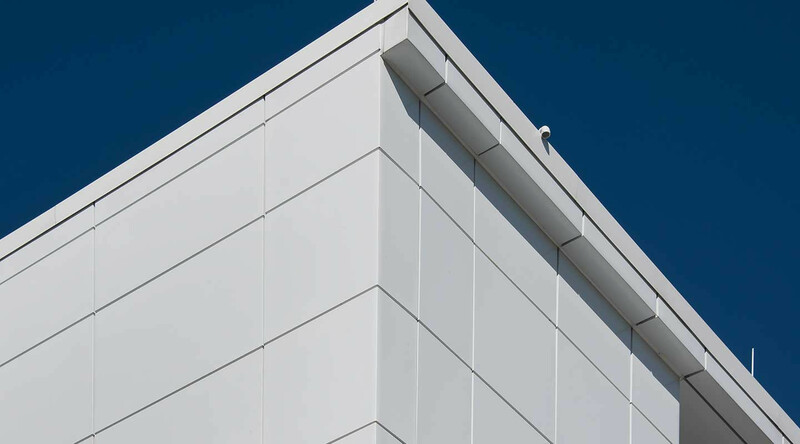 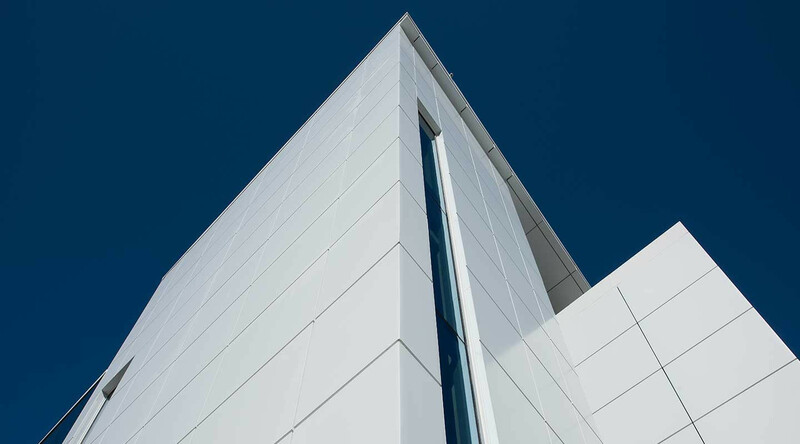 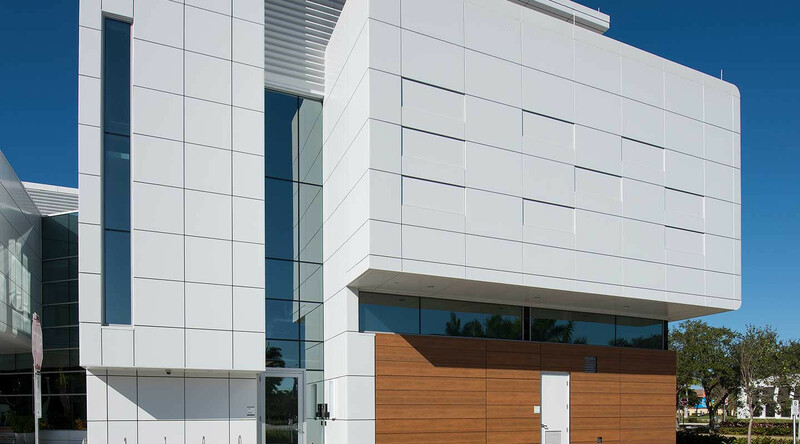 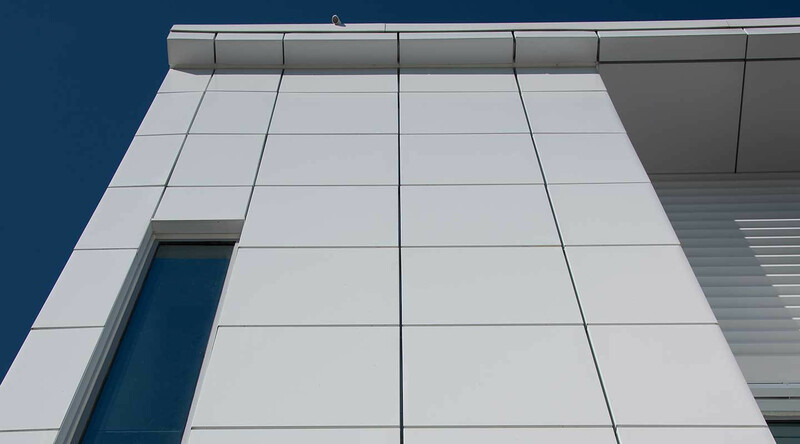 Designers took the modern aesthetic to another level with integrated 2-inch and 3-inch insulated metal panels, simulating recessed windows and creating a multi-planed accent wall.